Going on a trip with a G4 PowerBook or iBook? 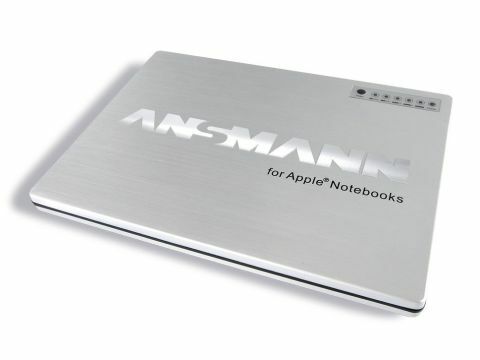 This Ansmann Power Pack is a portable battery charger for PowerBooks and iBooks. It takes approximately five hours to charge, and will top up your battery twice over before you need to recharge it again. The Power Packs have just become available to buy in the UK, so they are certainly new in the Mac market. The only comparison product we can find is a replacement battery from Apple. Those batteries will set you back £90 each for either an iBook or PowerBook model, which is considerably cheaper than the Ansmann device with its UK retail price of £160. However, the Apple batteries dont carry nearly as much charge as the Power Packs, which managed to provide about two full charges to our PowerBooks battery. Whether or not you really need to carry more power around with you, though, is another matter. The pack comes with its own power cable and another cable for charging the Mac. It uses an older-style male/female power-coupling adapter to fit the iBook and PowerBook. Theres no adapter to charge a MacBook or MacBook Pro, though, as the magnetic coupling socket of the newer Macs isnt compatible. The pack is slim enough to fit into a briefcase alongside your older Mac notebook, and although it weighs the best part of a kilogram it travels well. On the top of the battery is an LED indicator, showing how much charge is in the battery, and another LED to show at a glance when the battery is charging. When docked with your Mac, the battery level just appears to be topping up exactly as it would if plugged into the mains. Satisfyingly, we didnt notice any heat issues with the pack when charging. The main sticking point of the Power Pack is the price tag. It seems high in comparison to simply buying a second battery.